Teeth whitening is becoming the norm in mainstream society, with A Lister’s setting the standards portraying perfect white veneers, a cheaper alternative to us normal folks is bleaching and today, I set upon my mission to join the white teeth clan. Prior to my experience I was full of questions towards what happens during both the process and what I should expect from the aftermath? How sensitive really will my teeth become, and how much whiter will the bleaching make mine. So I decided to review my experience documenting my step by step impressions (excuse the pun) of the procedure. Booking in for my normal dental appointment prior to the whitening process was advised, not as a necessity but it would allow for my teeth to be at their cleanest for the solution to bleach the tooth. Ok so the dentist isn’t my all-time favourite place, as a child I spent summers in their having braces changed, the normal teenage existence, but I coped. 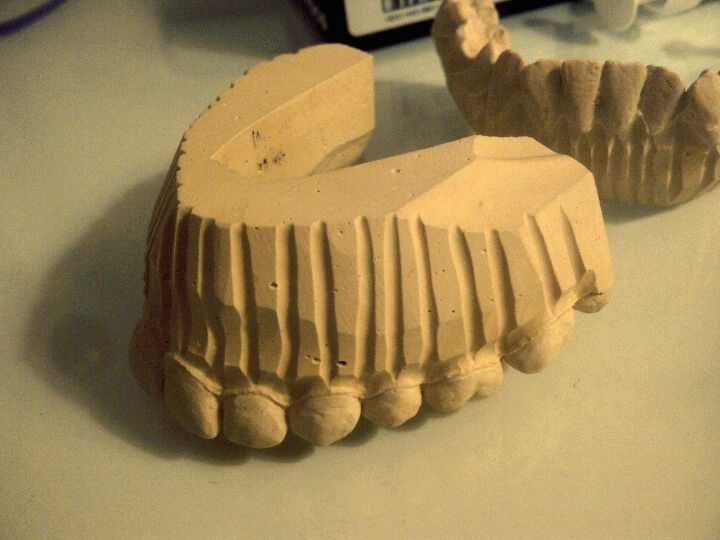 ‘A dental impression is an imprint of hard (teeth) and/or soft tissues, formed with specific types of impression materials that is used in different area of dentistry including prosthetics (such as making dentures, inlays and plastic models), restorative, diagnosis and Oral and Maxillofacial surgery for both intra oral and or extra oral aims. An impression is carried out by placing a viscous liquid material into the mouth, usually in a customised dental impression tray. The material, usually an alginate, then sets to become an elastic solid, and, when removed from the mouth, provides a detailed and stable reproduction of teeth. Common materials used for dental impressions are sodium alginate, polyether and silicones – both condensation-cured silicones and addition-cured silicones, such as polyvinyl siloxane’. To put it in simple terms, a play dough like substance is squashed onto your teeth, setting, then being removed once solidified. 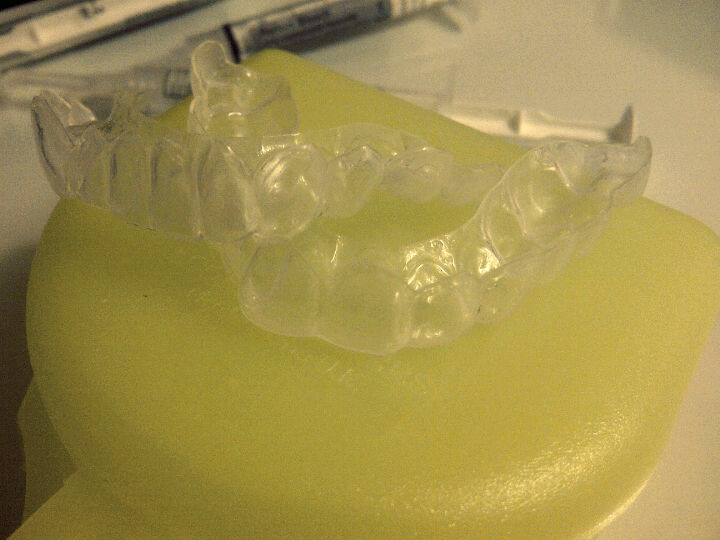 This is then taken, and created in the Dental Lab who are able to use the impressions to mould the exact fitting to your teeth. Originally informed this procedure was to take a week, I received a surprise phone call the following day informing me my trays were ready for collection. 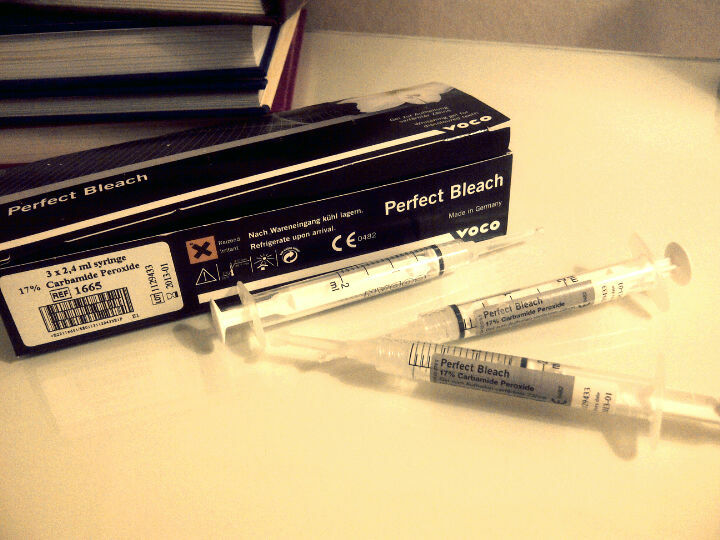 Returning to collect my bleaching kit, I rushed home giddy and excited to begin my whitening process. Night is the perfect time to wear the trays, in theory you can’t play with them whilst you sleep, also avoiding any pain the bleach may cause during the process. 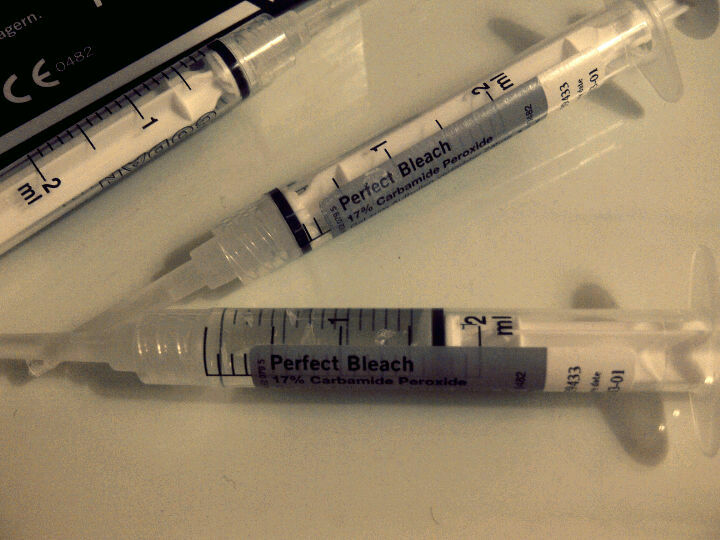 No pain was experienced upon my first application of the bleach, although it did feel odd having the trays in my mouth. Waking in the morning I removed the trays and brushed away the bleach from the previous night, I used Sensodine to prevent any sensitivity that could potentially arise. The first day was possibly the worst for me, the tingling sensation and increased sensitivity when eating or drinking hot, or cold was experienced, slightly annoying for a girl who loves a brew! This feeling of sensitivity continued right up until my 4th day with the bleach, I had prior been informed that I could break from the treatment at any point to allow my teeth time to heal, however, up until now I have not felt the need for a break. Jumping forward a few days I take you to day 5, up until now I had experienced a continuous feeling of sensitivity, however for the first time, the bleach didn’t seem to affect me. Exposed to cold wind, or overly hot drinks still made me jump a little but generally the sensation was beginning to die out. I have now completed my two week stint of continuous bleaching with the result of much whiter teeth! 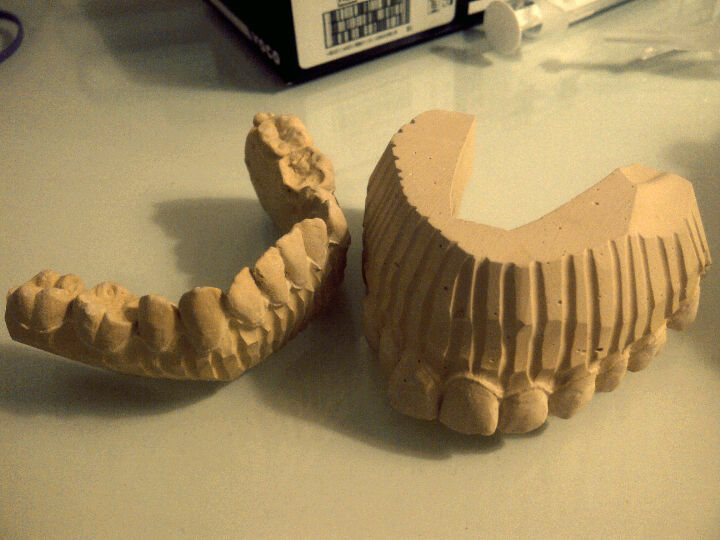 Since whitening I have attempted to ‘top up’ and the sensitive sensation did return, but the hardest part was over. It is advised that you stick with it for the full two weeks (as this is the longest time you will be able to stand the bleach) after the process is complete top up’s are recommended a couple of times a year to ensure whiteness is retained. Overall I am ecstatic with the results of my whitening, and although not yet to Simon Cowell’s standard, my teeth are fresh and white, noticbly but not an intrusive stand out. You’re writing is awesome! Enjoyed this post thoroughly. now following dear! you are a truly talented writer so glad to have found u!